Finally … daily planner that really works for you. 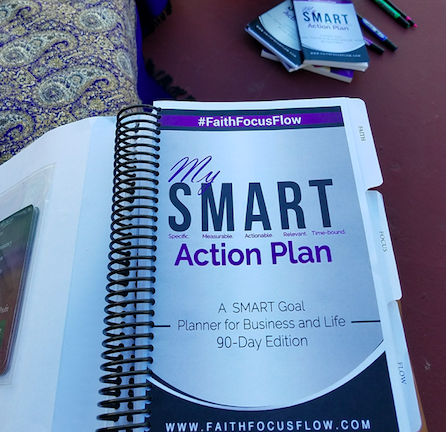 “My SMART Action Plan” helps you (1) start each day focused on God’s Holy Word; (2) make your goals SMART and accomplish them; (3) track the important area of your whole life – like your health and your cash flow; (4) build and maintain mutually beneficial relationships; (5) reflect on what really matters about each day; and (6) end each day in a way that sets you up for a restful night. 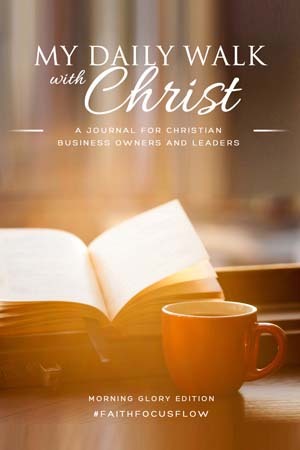 Using this planner is like walking around with your Christ-centered business coach right beside you regardless of whether you start your day at 4 AM or end it at midnight. 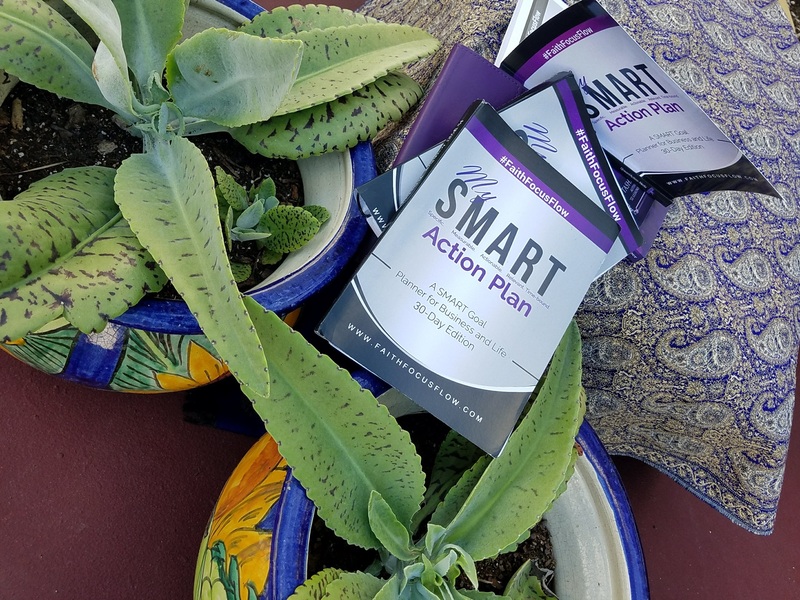 Follow the “My SMART Action Plan” system and use our SMART Goal Planner to get out of rut of making new years resolutions that you always quit, positive affirmations that do not get you unstuck and creating dumb goals that never take you to your next level. Specific. Give your goal a limited and narrow purpose so you know exactly where to focus your attention. Measurable. Give your goal a clearly defined end result so you know when it has been accomplished. 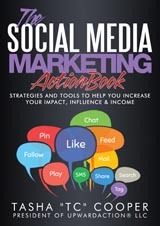 Actionable. Make sure your goal is ready to be acted upon because either (1) you have or (2) you can quickly access what is needed to accomplish it and you can DO something. Relevant. Align your goal with your vision for success, or find another goal. Time-Bound. Give your goal a deadline for completion. 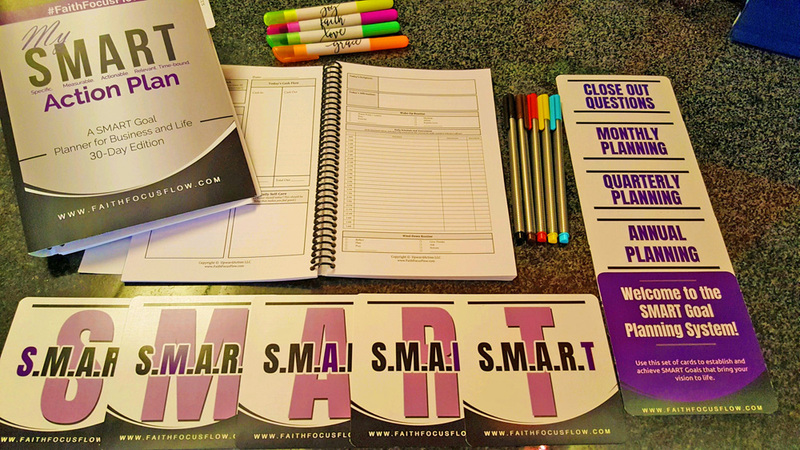 The SMART Goal Daily Planner for Business and Life was created to help you integrate SMART goals into every single area of your life. 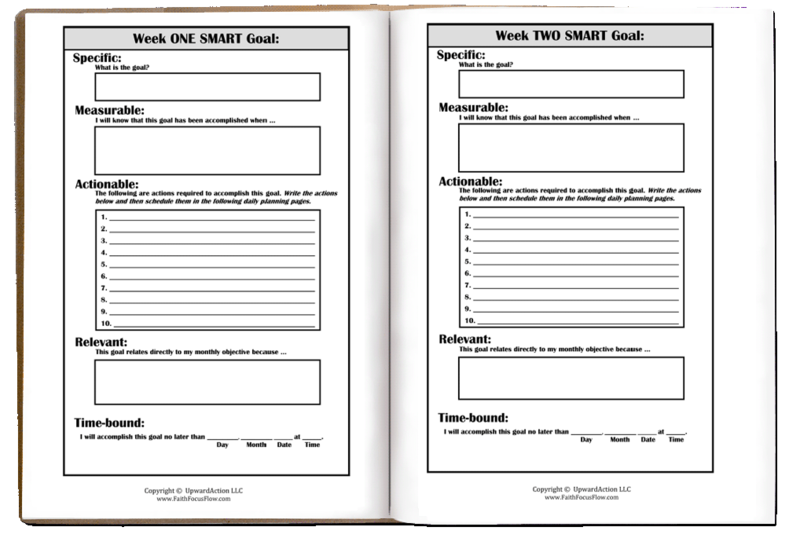 Check out a few pages from our popular SMART Goal Daily Planner! Start Making Your Dreams, Your Reality. Order Your S.M.A.R.T. Goal Planner Today. 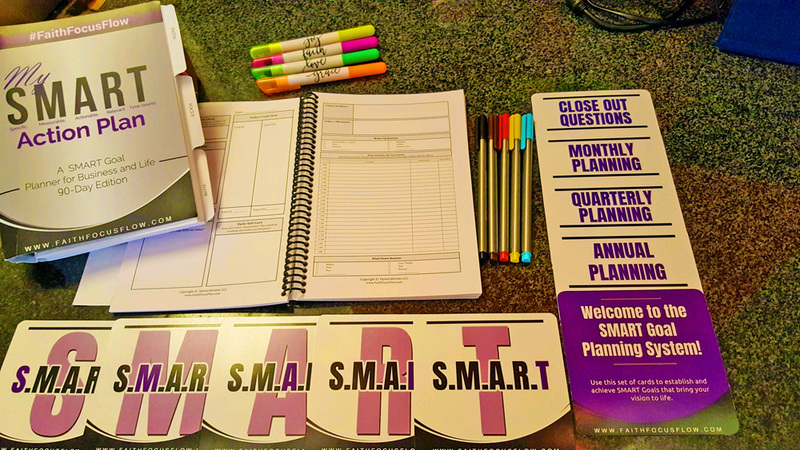 Buying this Planner is a SMART Move!!! I am so excited about my new planner. 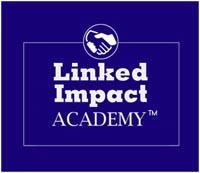 It is perfect for helping to set intentional action in both my business and life. As a busy professional, it is often challenging to set professional goals while keeping my personal needs in sight. This planner helps me do just that. 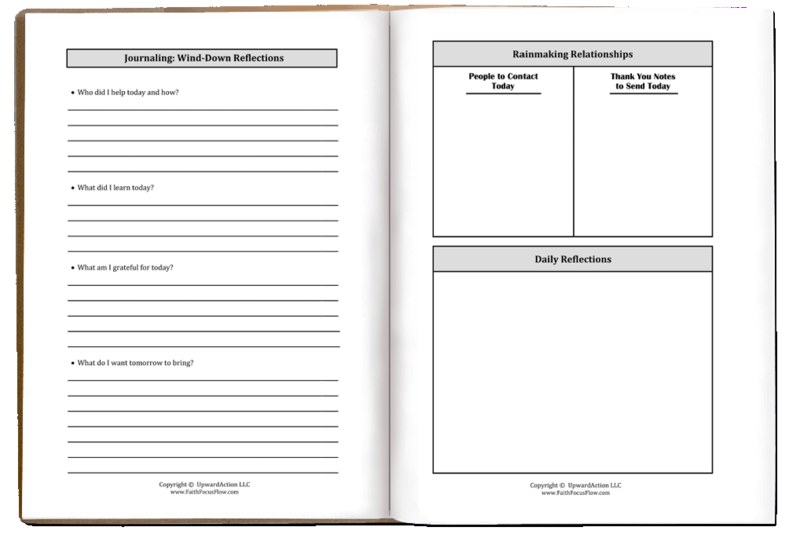 This planner even has sections to hold you accountable for writing down your insights and lessons learned as well as your blessings. 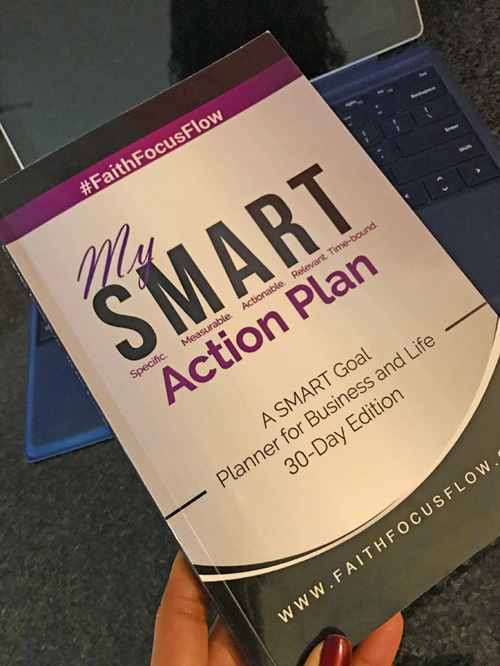 If you haven’t already purchased your copy and you are serious about setting SMART goals that will actually change your life, do so today. What a difference this planner has made in my life! What a difference this planner has made in my life. Typically, my planners have been all about places to go, people to see, things to do, but this one does that and so much more. 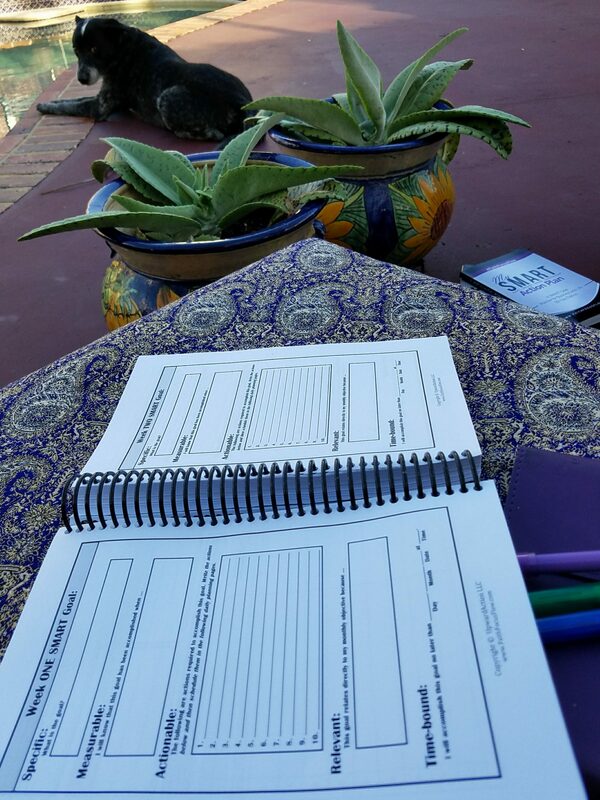 This planner holds me accountable to myself (the tasks I outline for myself) and allows me to reflect about my inner most wishes for my purposeful life. Daily, weekly, and monthly goals are at my fingertips– allowing for a visual reminder to myself of my personal and professional to-do lists. However, the part I enjoy most about this planner is the reminder to recommit to my personal affirmations, self-care, and my reflections of my actions. If you are looking to heighten your mindset about the way you approach personal and professional goals, this planner is for you! I’m always in search of the “perfect” planner! I love this one because I’m able to personalize it to integrate short and long range projects into my busy schedule. The style is comprehensive, yet user friendly and not overwhelming. The format supports my efforts in getting clear, remaining focused, and executing each one of my personal and professional projects to completion. 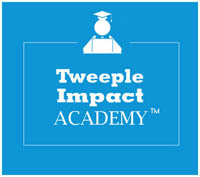 Perfect way to start the year…..or anytime you’re ready to make those goals a reality!! Attaining ALL my SMART GOALS! 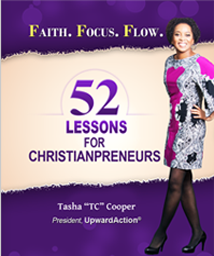 I already own the book, also by TC Cooper, 52 Lessons for Christianprenuers! This planner is the perfect compliment – I am starting 2016 off right. 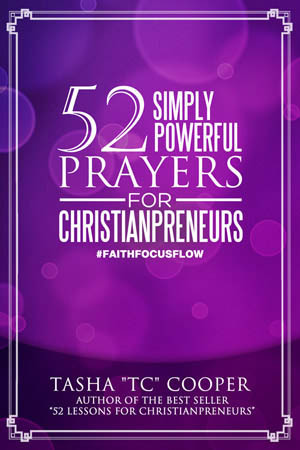 Using Godly principles, The Word of God and now SMART goals for business and life is going to make this year a success – not only financially – but spiritually as well. 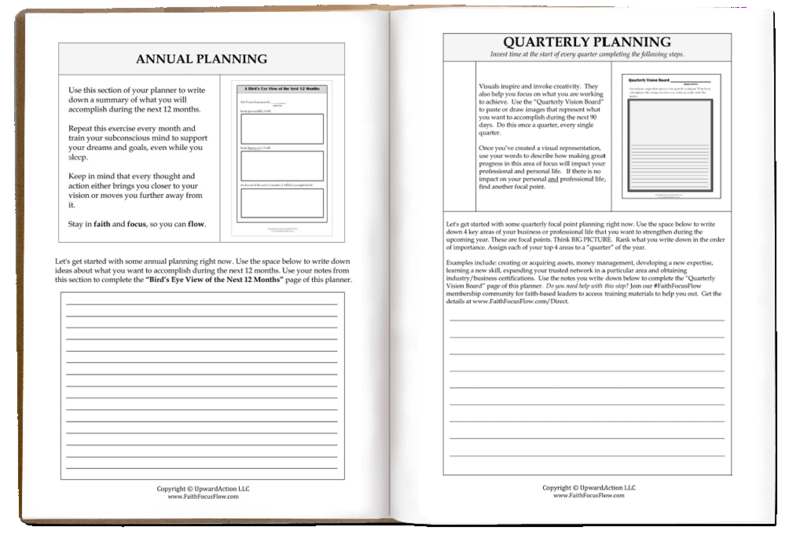 I recommend this planner for any entrepreneur, student, homemaker – really anyone can use this tool for to build and attain your personal (or professional) goals! I’m loving this S.M.A.R.T. Goal Daily Planner. EVERYONE NEEDS ONE OF THESE! I fell in love the moment I opened it… I was thrilled to see a nice sized font that I don’t have to strain to read and that there’s plenty of room for writing. I’ve had other planners that forced me to write small in order to squeeze everything into a tiny space. The size and spacing of this planner is perfect! It’s important to note that the S.M.A.R.T. 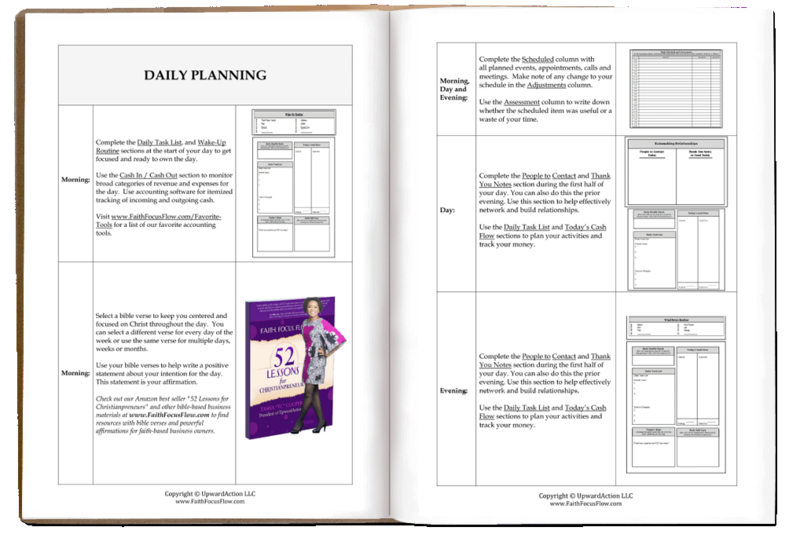 Goal Daily Planner is not for slackers! 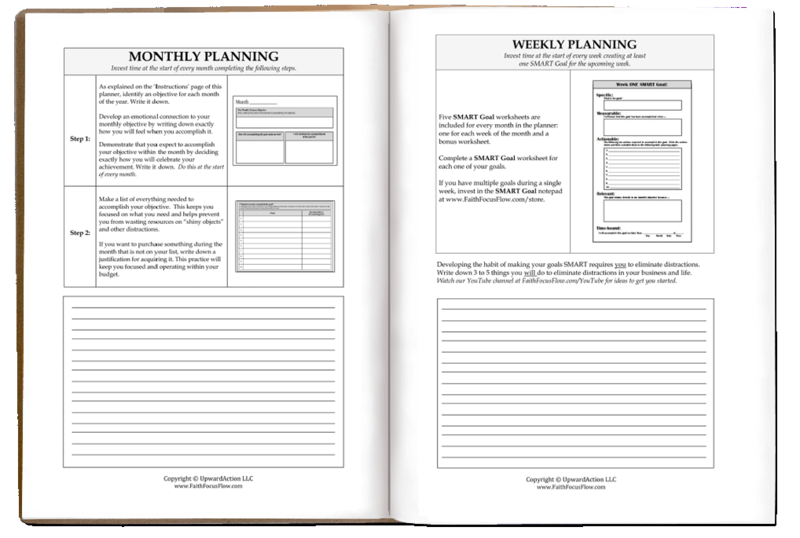 If you are SERIOUS about rolling up your sleeves and putting in the work, this planner will take you to task every day in creating a live blue print to achieving whatever goals you set. This is more than just writing out goals and wishing they come true… this is actually like a contract with yourself that includes a daily to-do list created by you, to keep you on track and ACCOUNTABLE. It’s the holy grail for achieving goals. This planner takes you through setting goals, identifying needs and actions necessary for achieving goals, feelings and emotions evoked by the thought of accomplishing the goals, daily efforts, life balance, gratitude and rewarding yourself upon realizing your goals! 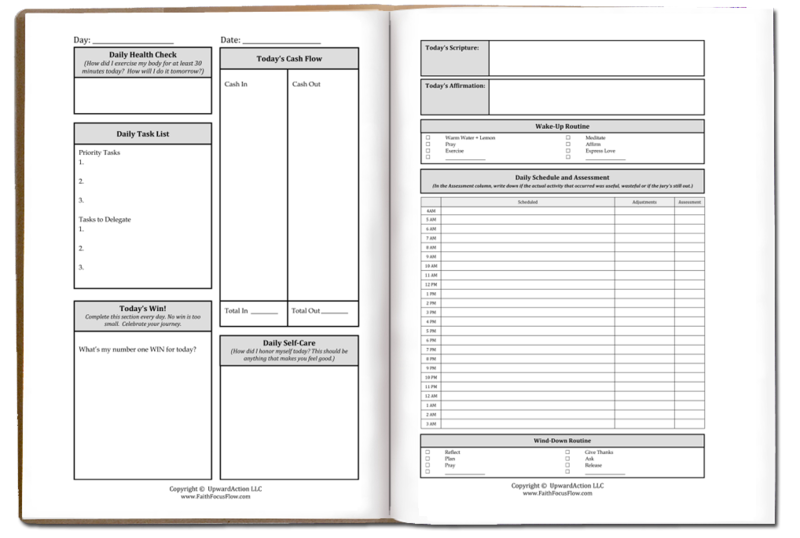 The format and layout of this planner is BRILLIANT for the self motivated, disciplined, and resolved goal setter that is truly ready to accept responsibility for their own life and take action. 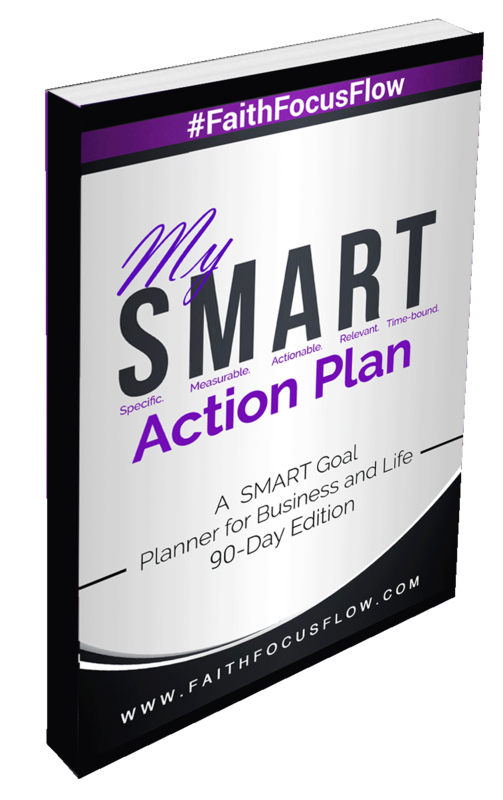 The SMART way to reach your goals is with this planner. 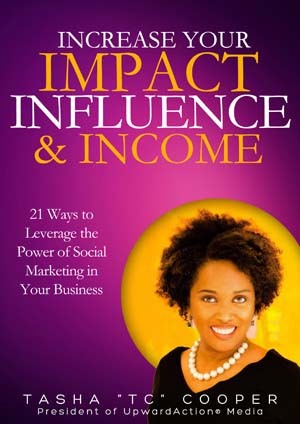 I’m suggesting this planner to my women’s empowerment group!